Last March my brother was kind enough to share his hummus recipe with me and give me his permission to share it. Finally, this week I decided I would make it since I had a friend coming over for lunch and I was trying to come up with something super-easy to prepare. As it turned out we changed our lunch to a dinner, and my husband and son joined us as well. 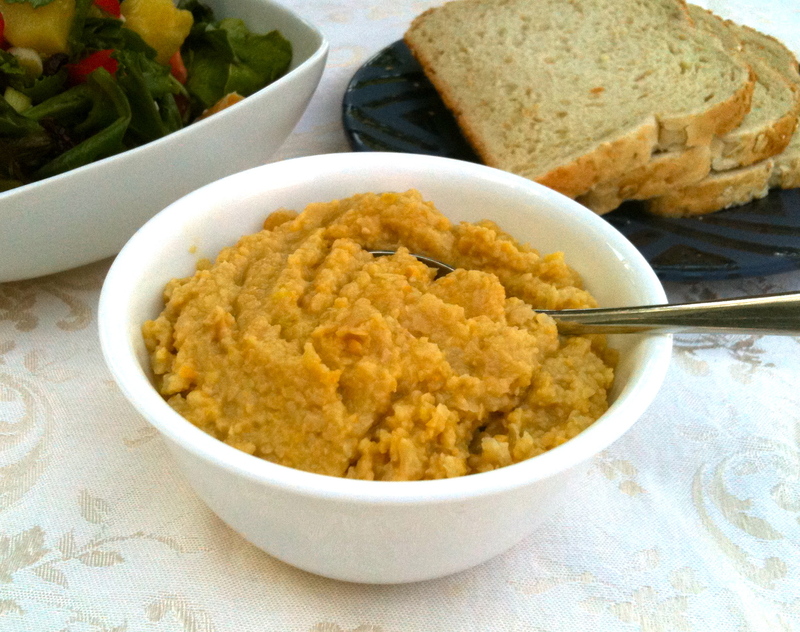 So not only is hummus a great appetizer, it can also be combined with other items to create a full meal. I served it with fresh bread, Caribbean Salad and corn on the cob. A perfect summer meal! I hesitated to include the hot pepper rings at first, but Walter let me know that with just a few rings it doesn’t end up being hot–it just gives it a nice flavor. 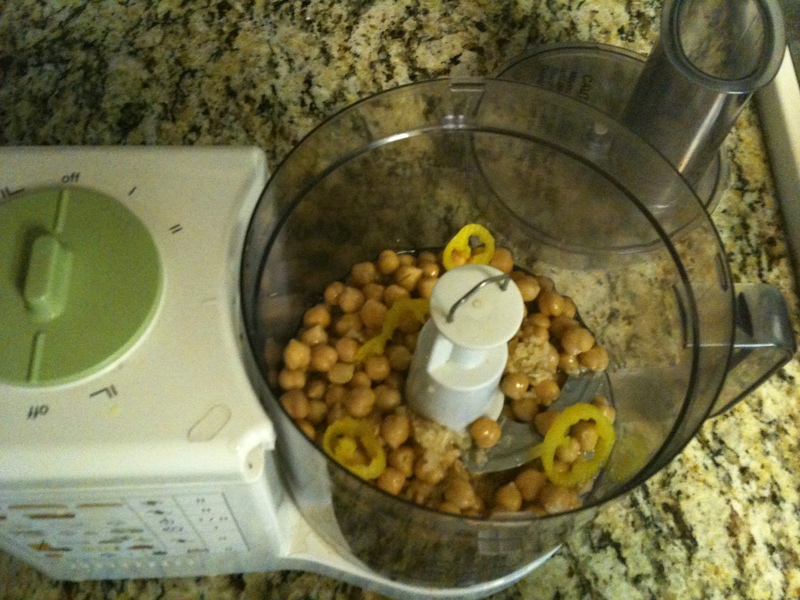 Blend everything together in the food processor. I am surprised to see that there is no tahini in this hummus, which definitely adds a distinct flavor and texture. I am sure it tastes good anyway! Thanks for the feedback Henry! I’m not sure why he doesn’t use tahini in his hummus. Interestingly I never do either. For a long time I made my hummus with non-fat yogurt and a little sesame oil. I think I’ll try adapting Walter’s recipe to add tahini! I like the red pepper addition!